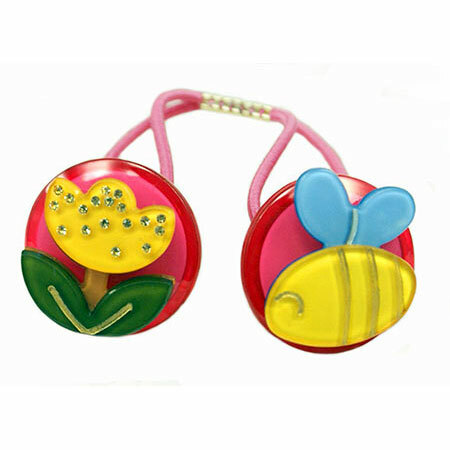 Your garden will take notice with our little Bee and Tulip double ponytail. Made of acrylic with Swarovski crystals. 1" round.